Michael Schatte probably wouldn’t call himself a Bluesman. 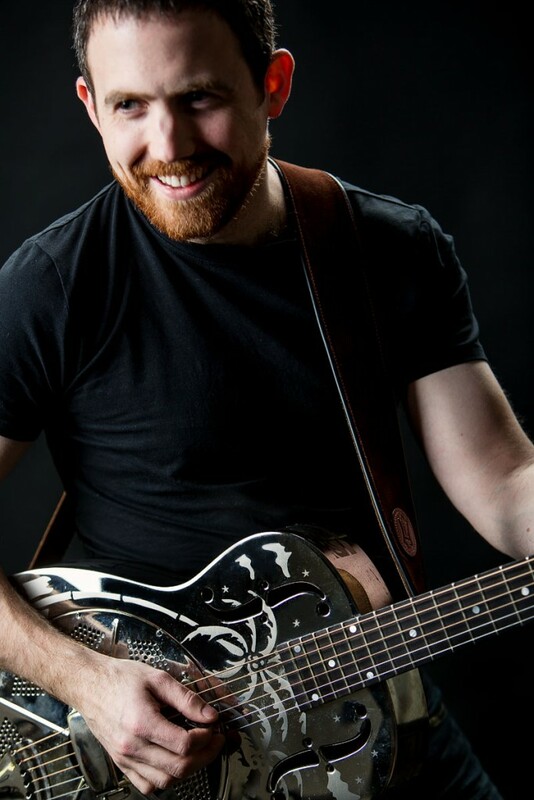 And yet since January, the Canadian guitarist, vocalist and songwriter has found himself a top-eight finalist at the 2015 Memphis International Blues Challenge, the winner of the 2015 Toronto Blues Society Talent Search, and by year’s end he’ll have hit the main stage on several major stops of the Canadian Blues and Jazz festival circuit. Though he loves The Blues (and evidently does it well), it’s just one ingredient in the eclectic brew of original rock, blues, rockabilly, bluegrass, and celtic he’s been writing, recording, and performing throughout his career. This blend of genres, often described as roots rock, is delivered with stunning impact on his new album, Turn Back the Vikings. Vikings confirms what fans of Michael’s recorded catalogue and high-energy live shows have long known: this is a musician headed for widespread recognition. Recorded in Toronto and mixed in Austin, Texas by Simon Tassano (the live and studio engineer of choice for folk-rock legend Richard Thompson, whose Sam Jones is the sole cover song on Turn Back the Vikings), the new album is Michael’s finest work to date. When you witness audiences singing along to songs they’ve never heard before, it’s clear the new material is working. Such was the case with several tracks from Turn Back the Vikings before it was released in February 2015, with songs like Honey Doll, Baby’s on the Border, Pistol on Her Pillow, and Odessa getting regular live workouts leading up to the release. The intelligent lyrics, the hook-filled arrangements, and Schatte’s voice certainly have a way of capturing attention, but it’s his work on a certain six-string plank of wood that ties it all together musically. Michael and percussionist Riley O’Connor give their respective instruments a workout in Georgetown, ON.